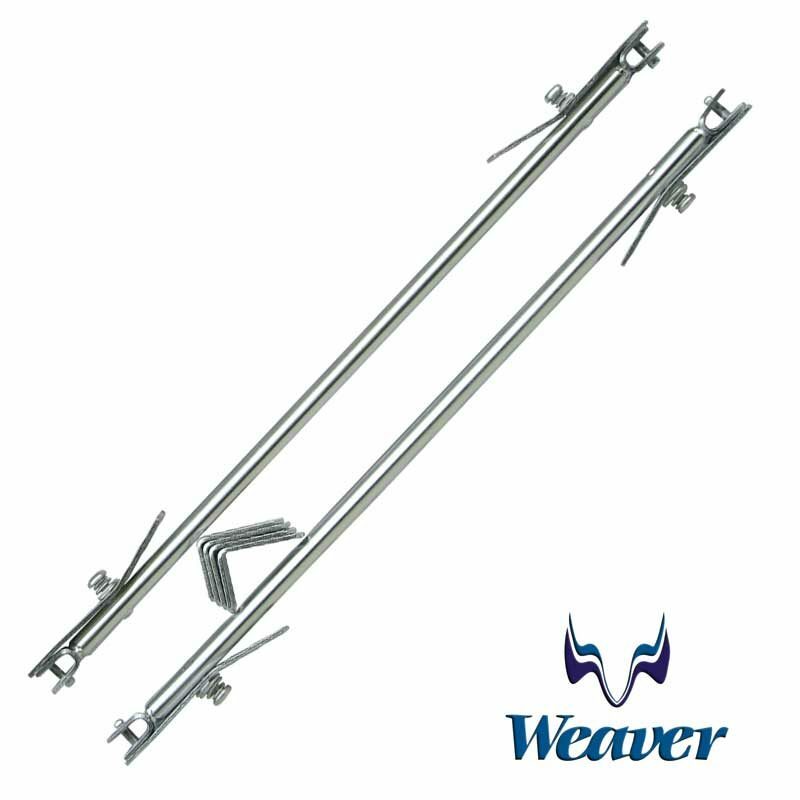 57.38.52 – 24 Inch Weaver Stand-Off Arms. Clips on Both Ends. Stainless Steel. Spring-loaded thumb lever at both ends for one hand operation. Can be easily removed for storage. Suitable for curved transoms and access through transom. Brackets come assembled. 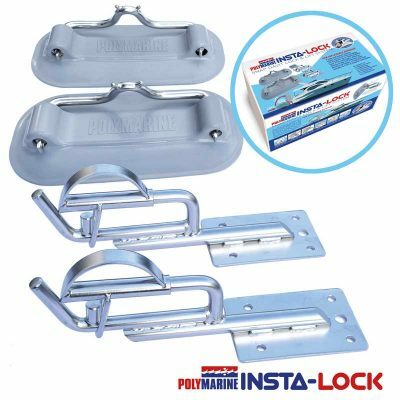 High grade stainless steel bracket arms designed to secure the inflatable boat / tender in its raised position on davits at 90deg. to the main vessel. 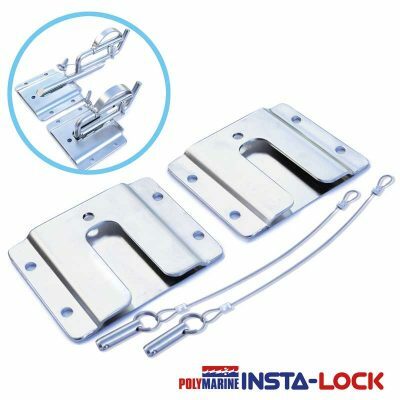 Reduces any abrasion caused by securing the tender with rope, provides greater security when underway and removes strain on the davit fittings in keeping the tender at 90deg. 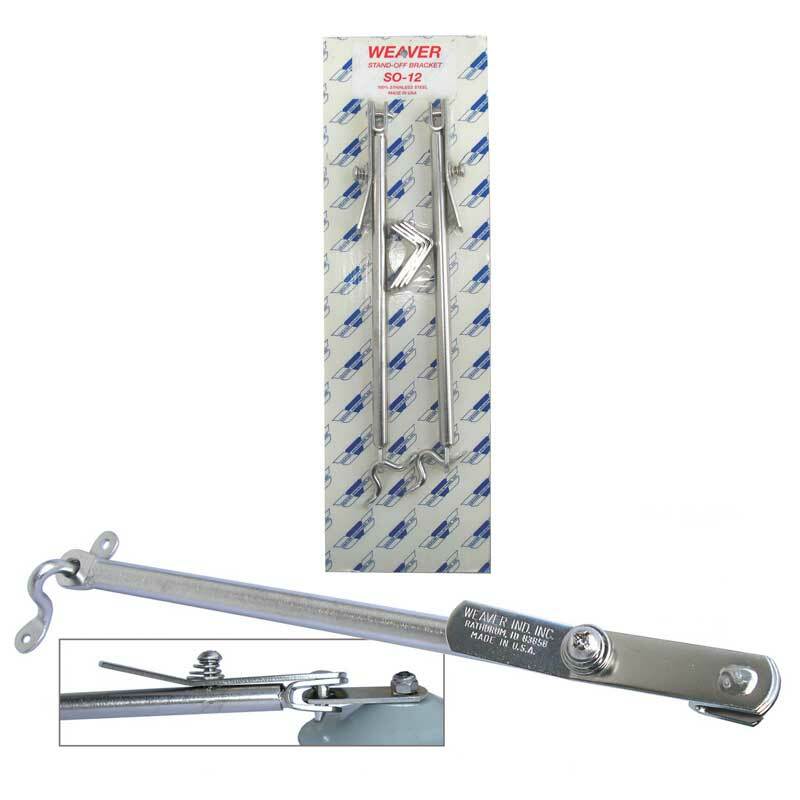 Supplied in pairs as a kit with 2x arms and 4x ‘L’ shaped brackets for mounting. 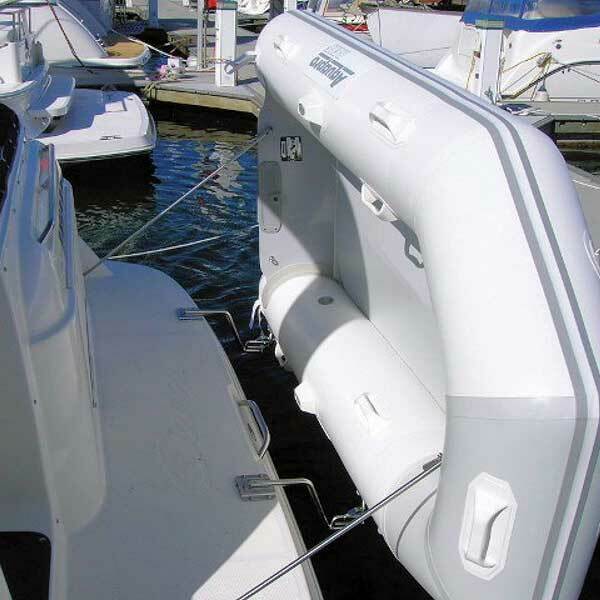 Fixed onto the tender with one arm secured with an ‘L’ shaped bracket to the enge of the transom at its highest point when the tender is raised to 90degon its davits, and the second arm to a special moulded pad which is adhered to the upper part of the tender when raised. 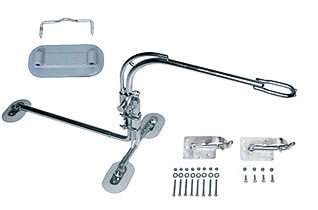 For a rigid tender two ‘L’ shape bracket fixings can be used. Spring-loaded thumb lever at both ends for one hand operation. Associated rubber pads are available in grey or black -please note pads need to be ordered separately from the arms. Manufactured from high grade stainless steel with neoprene moulded rubber pads.